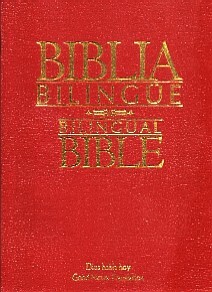 This Bilingual Bible comes with parallel columns of Spanish and English text—perfect for learning either language! Burgundy imitation leather with gold edge. 1,696 pages. Measurements: 5 ¼ x 8 ¼ in.